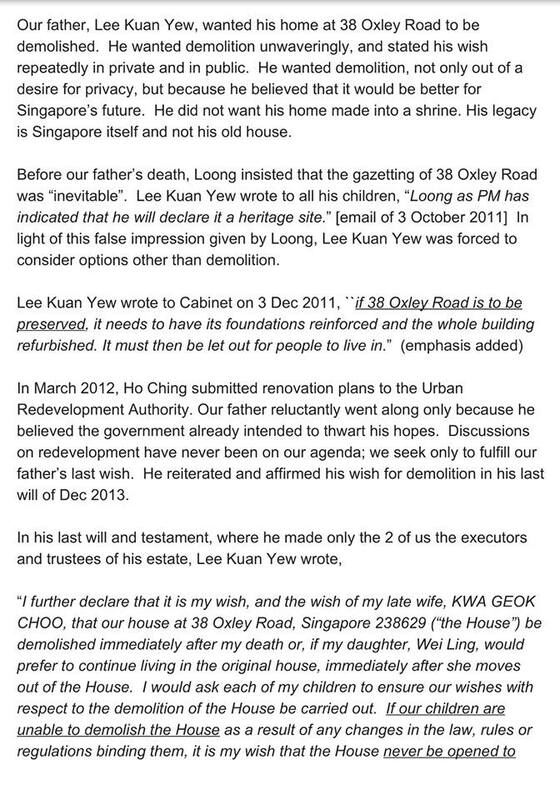 The bungalow at 38 Oxley Road should be demolished after his death – that was the unambiguous will of Lee Kuan Yew. 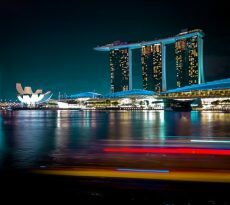 The younger children of the first Prime Minister of Singapore has claimed this in their first response since the Ministerial Committee released its recommendations for the property yesterday. 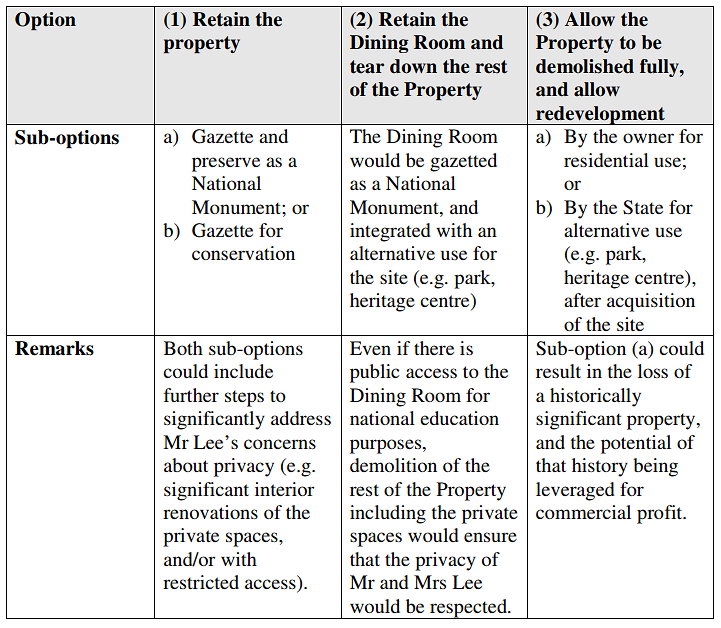 The ministerial committee charged with formulating options for what might be done with the late Mr Lee’s bungalow quietly released three broad options for the property in a report yesterday. 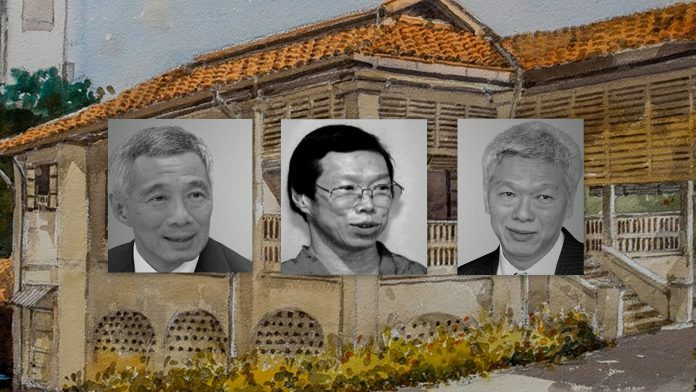 The committee – which is chaired by Deputy Prime Minister Teo Chee Hean and includes Law and Home Affairs Minister K Shanmugam, MCCY Minister Grace Fu and Minister for National Development Lawrence Wong – offered that the property could be preserved, certain parts of the property could be retained or that the entire house could be demolished and redeveloped. 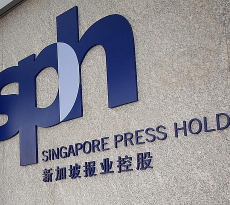 “It seems to me my big brother (and) his committee have achieved that distinction with amazing ease,” she criticised Prime Minister Lee Hsien Loong. PM Lee is the oldest son of Mr Lee. He said in his Facebook yesterday that he has read and “accepted” the ministerial committee’s report regarding the bungalow at 38 Oxley Road. PM Lee reiterated that he had recused himself from dealing with the issue. 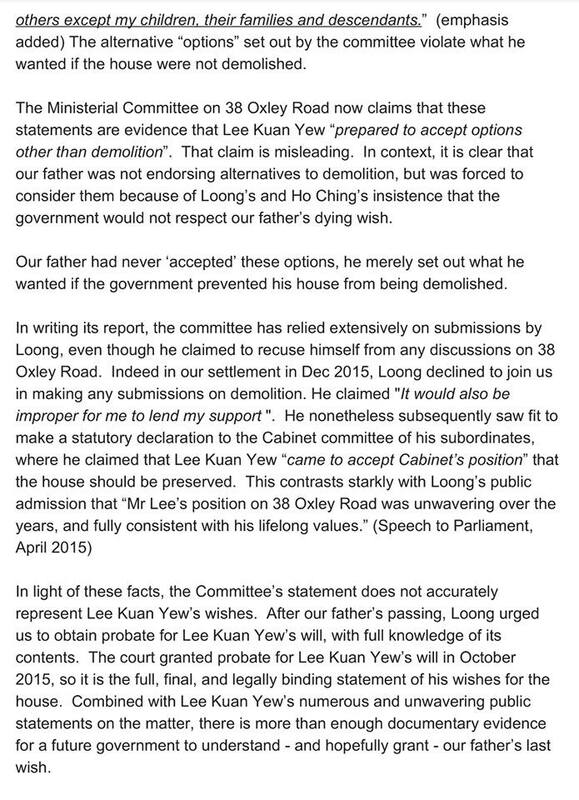 Mr Lee’s youngest son, Lee Hsien Yang, in describing the ministerial committee as “once-secret Committee”, released the joint-statement of his and his sister’s on his Facebook. Mr Lee’s bungalow sits on an estimated 12,060-square foot plot. 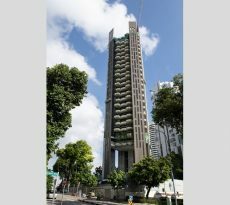 Some analysts have predicted that depending on how the site is redesigned, the two-story mixed-landed project the land value could be worth about S$25 million. Other experts believe that it could fetch a premium above that amount because it is a “special address”. The bungalow sits on the Core Central Region (CCR). The URA’s 2018 Q1 flash estimate released yesterday said that private residential property saw the highest quarterly increase in 8 years, and that prices of non-landed private residential properties increased by 5.0% in CCR. Being able to purchase a home in a prime District 9 location is indeed a rare chance. With all its potentials and possibilities, it could be a winning investment. 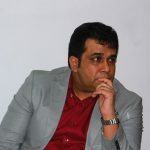 And if you are preparring to make your purchase, be sure to seek the help of reliable expert. Seek the assistance of iCompareLoan mortgage broker when you need to compare mortgage loan Singapore. Can my country Club go enbloc?